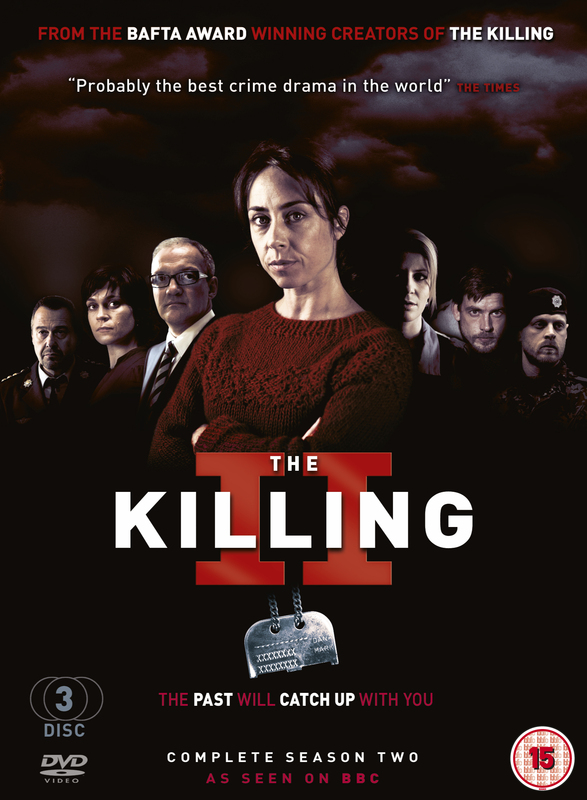 Strictly speaking The Killing 2 isn’t a war movie but since I reviewed Homeland I might as well review The Killing too. I watched season I first and because I thought it wasn’t bad at all, I went and got season 2 without knowing anything about the topic. Sarah Lund is a pretty unconventional detective that’s why she loses her job at the end of season 1 and is sent away from the capital to some frontier post. When lawyer Anne Dragsholm is found dead at a WWII memorial, her husband is arrested. The chief inspector has a feeling it can’t have been the husband and despite everything that has happened in series 1, he calls on Sarah Lund and asks her to come back to Copenhagen. Together with detective Strange, she is to look into the case. At the same time Raben, an ex-soldier held at a detention facility, escapes and a young politician is made minister of justice. Soon after this, two other ex-soldiers are killed and other murders follow. The young politician is also looking into the case as it is possible that Islamic terrorists are at work. Raben served in Afghanistan and after a few days of investigation it’s clear for Sarah Lund that he knew Anne Dragsholm and the dead soldiers. Very possibly something happened in Afghanistan which led to the killings. If you are familiar with season 1 you know that Sarah Lund is unconventional but extremely clever and determined. She doesn’t leave any stones unturned. She even flies to Afghanistan looking for traces of a mysterious officer who is said to have killed civilians. Like in the first series there are numerous red herrings, twists and turns, many suspects and the end is unexpected. The season plays in a political and military environment and touches on personal and political themes. The tone is bleak and melancholic, the story gripping and the characters are all flawed and complex. This series is about more than just solving a murder, it includes sociological and political themes, portraits of dysfunctional families and a lot more. I really liked this season. Much more than the longer season 1. I recommend it to anyone who likes thrillers and to those who like movies with military themes. This entry was posted in TV Series and tagged Afghanistan, Military Life, Sarah Lund, The Killing 2, Thriller, TV series, War. I’ve enjoyed all three seasons of this show and, despite the occasional wrong turn here and there, love the Sarah Lund character and the almost constant surprises. Ironically, this series, some of the Swedish Wallander episodes, and some of the Scandinavian crime novels dating back to Sjöwall & Wahlöö have made me much more interested in visiting Scandinavia than I ever was previously–even though I would prefer to avoid crime as much as possible outside of my reading and viewing life! It’s pretty good, right? I think she’s a great character and there are so many twists and turns, sometimes she’s just plain wrong but I suppose that’s the way it is in real life. I started to learn Swedish two years ago and then abandoned it – not as easy as i thought but I’m tempted to learn the basics. I’ve never been in Scandinavia. It’s inpsired me as well. I rememmbered that you mentioned wathcing Scandinavian crime series and was wondering whether you were watching this too. Now I know. I haven’t seen the Wallander ones. Maybe I’ll try them too and season 3 of the killing. The Swede Wallander shows aren’t anywhere near as good as The Killing and are wildly uneven–much like Mankell’s novels, I suppose. However, some of them are “good for TV” and the actors have grown on me. I liked Kenneth Branagh in his role as the BBC version of Wallander, but it was otherwise really annoying to see thick-accented Brits pretending to be Swedes while being filmed in Sweden! I’ve read two WAllander books and they were good but I was lucky, there must be some weak ones as well. I watched the American version of season 1 and was infuriated when it did not resolve the mystery at the end of the season. I have now learned to go to the original source instead of the American knock-off. Unfortunately, I really don’t have the time to read subtitles. That means doing nothing but watching. Hard for me to do. I think it is available dubbed. I had to watch a dubbed version as well. It seemed OK, not perfect but yeah well. I think you’d like this season. Just finished season 1 last night, and it’s one of the best detective programmes I’ve ever seen on television. I have season 2 for a marathon next weekend. Has anyone see THOSE WHO KILL? I haven’t. I’ll look it up, thanks. I liked season 2 better, there were a few too many wrong turns in season 1 but it’s still above average. Loved Season 1 but there were a couple of times the story didn’t quite fit and I wondered if the scripts were being written one by one rather than all at a time. I think they must have learned their lesson because season 2 and 3 are not as long and feel tighter and better told. I did like season 1 but it was uneven. I have Spiral on my wish list and added Those who kill. I saw another Danish one, The Eagle whcih looks great as well. Someone recommended the Eagle so I’m looking for a copy. I’m still arguing with myself whether I prefer The Killing (Danish version) or Spiral. I always stay away from them. I know what you mean. I heard the US version is bad.